The comprehensive technology concept of MailStore Server helps companies to meet a growing number of compliance requirements and can also assist with eDiscovery scenarios. 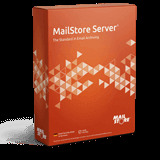 MailStore Server enables you to completely archive all emails within a company. For example, email can be archived before being forwarded to employees’ mailboxes. An archived email is identical to the original email in every respect and can, if necessary, be restored from the archive without losing any information. MailStore generates SHA hash values from email content and uses internal AES-256 encryption. This helps to protect the archived data from tampering. MailStore Server does not restrict businesses to a proprietary file format. All archived email can be exported in a single step at any time. A cryptographic signature can be added to exported emails. This helps to protect the exported emails from tampering, even outside of the archive. Administrators can define sophisticated retention policies, enabling them to maintain complete control of the periods for which various types of email are archived. They can define whether emails are automatically deleted from the archive, and when, thereby complying with the different retention periods that are possibly mandated by regulatory requirements. These policies can help customers meet their obligations under the EU’s General Data Protection Regulation (GDPR). If the Legal Hold function has been enabled, no emails can be deleted from the archive, regardless of all other possible configurations of user privileges and retention periods. MailStore Server uses an integrated auditing function to consistently log changes and events, which can be defined by the administrator. A special auditor user type allows external auditors to access the archive. All actions performed by this user type are always logged. The archive search can also be performed on a company level to assist with eDiscovery. This makes it possible to search through a company’s entire email portfolio in a single step.